Evangelos Marinakis is holding secret talks with Nottingham Forest to join forces with Fawaz al-Hasawi and bring his own kind of leadership to a club flirting with relegation to English football’s third tier, as The Guardian reports. 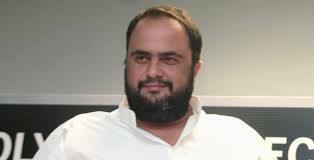 "Marinakis’s proposed takeover is at such an advanced stage that he is understood to be influencing key decisions behind the scenes already." Date : 3/14/2017 11:00:00 π.μ.